I’m sure you’ve heard it before and I’m sure you’ll hear it again – one of the biggest perks of working at Thida is getting at least a week and a half or so off for Christmas and New Years. Most other schools in town only get New Years off, and my friends that work for other agencies and Thai schools are always jealous of this big chunk of holiday time. For Christmas break, my husband and I were planning to go to Koh Lipe, an island off the west coast of Thailand, just about as far south as you can get before you hit Malaysia, but the break had other plans in store for us and we had to change our plans after having a spill on our motorbike right after the last day of school before the break. Nothing too bad, but we ended up with just enough scrapes and road rash to make scuba diving, snorkeling, and any contact with salt water sound like a terrible idea. We ended up going to Cambodia and had a great time! We toured the magnificent temples of Angkor Wat, learned about the daunting history of the Khmer Rouge in Phnom Phen, visited lots of cool markets, ate lots of delicious Cambodian food, and spent more than a fair share of time on long bus rides over terribly paved roads. Oh, and we found DR. PEPPER in Cambodia at a little convenience store with Western foods. Who would have guessed?! One of my favorite things about living in Thailand is how so many incredible places are right at my fingertips. Our plans to go to a beautiful tropical island didn’t work out, so we just hopped on a train and a few buses to Cambodia and got to see the largest religious monument in the world. Pretty awesome stuff. The best part about working at Super is that we get so much time off to travel and see things. 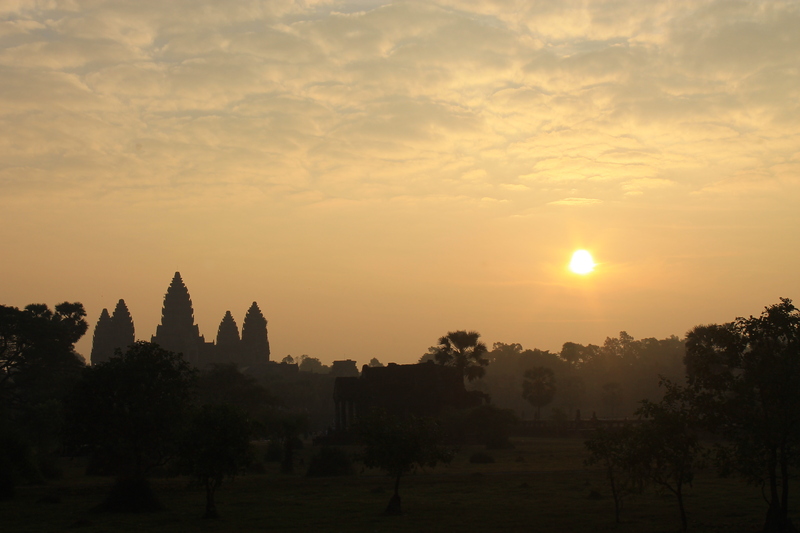 Being able to go to Cambodia and visit the 1000 year old temples at Angkor Wat was an amazing experience. 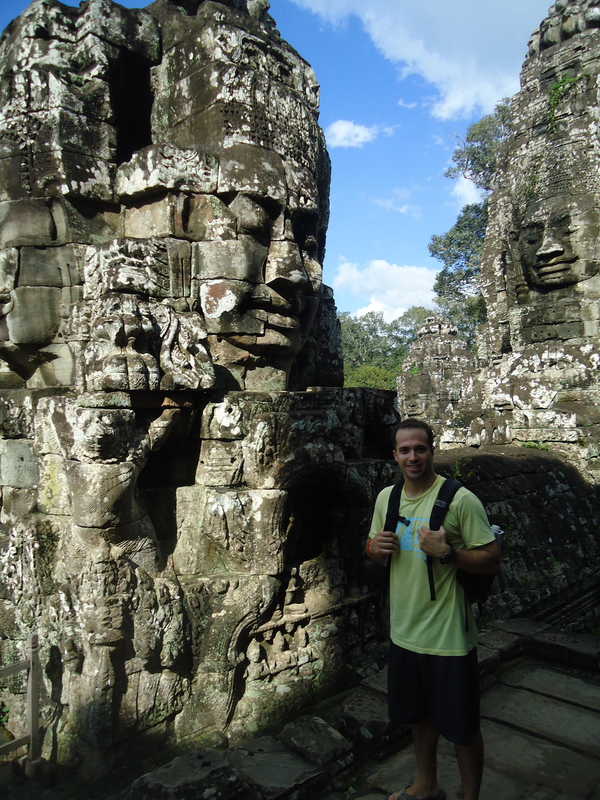 The “Mortal Kombat” faces at Angkor Thom were definitely some of the coolest things I have ever seen. Super English is a language school located in Surat Thani, Thailand. This site was created by and is maintained by current teachers in order to share their experiences with others interested in teaching English as a foreign language (TEFL) or teaching English in Thailand.